As a practicing chiropractor, for the past 34 years, I do not like to say “we treat diseases.” The body has a natural ability to heal itself. Basically, my skill in using advance activator methods enables me and the patient to have a successful outcome. 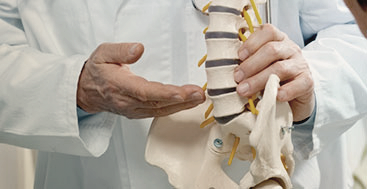 Most people think that all chiropractors are for is to fix back or neck pain. The truth is, our care has a much broader spectrum of relief. An imbalance in your spine can often lead to many other health problems. Over time, your vertebrae can lose their proper motion or position due to normal daily activities. This imbalance can create pain and other symptoms in your body. This is exactly what we treat! We treat the spine, but also how the whole body works together. If you need orthotics to help correct that spinal imbalance, we create custom orthotic insoles to help in spinal correction and proper posture. If your muscles need to be released, we offer massage therapy to help with releasing the muscles so the spine can be adjusted. We also offer peripheral neuropathy treatments to help with numbness and tingling that can come from an imbalance in the spine or other health related issues. Contact us today to schedule a visit. We are glad you have taken time to come visit our page. Engel Health & Wellness Center offers you many ways to take care of and increase your health in a natural way. Chiropractic is a central component of any health and well being plan. We know this better than anyone and can make chiropractic fit into any lifestyle. We proudly offer you the Activator Method Chiropractic Technique. We are committed to your health!